For those who love game; our pheasant are wild. Our pheasants are a nice size and usually will feed two people. They are all hand plucked and hung for 10 days to ensure you get the best out of the birds in terms of flavour and tenderness. When cooking your pheasant wash out with salt water and then to cook treat like a small chicken. 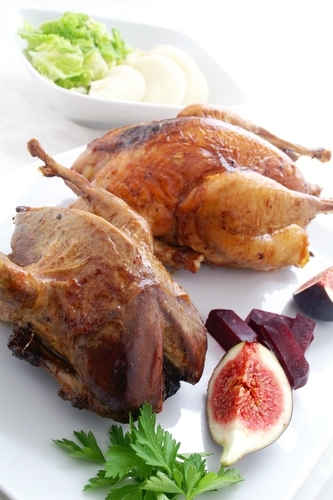 TOP TIP: A sweet sauce to serve with your pheasant will be ideal; perhaps a blueberry red wine sauce? Blueberries, cup red wine, beef or game stock, salt & pepper. Cook and reduce crushing the berries.